The House Judiciary Committee made a critical and public step to rein in a terrible Arizona "lawman." You have probably heard of the shamelessly self professed "Toughest Sheriff in America", Maricopa County Arizona Sheriff Joe Arpaio. For years he has been making a PR spectacle of himself, all the while running an unconstitutionally deplorable jail system, letting inmates die under tortuous conditions, and violating the civil rights and liberties of everybody in sight, especially minorities. Last week, the House Judiciary Committee made public a critical and public step to rein in the Most Abusive Sheriff In America. House Judiciary Committee Chairman John Conyers, Jr. (D-Mich.), and Immigration Subcommittee Chairwoman Zoe Lofgren (D-Calif.), Constitution Subcommittee Chairman Jerrold Nadler (D-N.Y.), and Crime Subcommittee Chairman Bobby Scott (D-Va.) called on Attorney General Eric Holder and Homeland Security Secretary Janet Napolitano to investigate allegations of misconduct by Maricopa County (Arizona) Sheriff Joe Arpaio. Sheriff Arpaio has repeatedly demonstrated disregard for the rights of Hispanics in the Phoenix metropolitan area. Under the guise of immigration enforcement, his staff has conducted raids in residential neighborhoods in a manner condemned by the community as racial profiling. On February 4, 2009, Arpaio invited the media to view the transfer of immigrant detainees to a segregated area of his "tent city" jail, subjecting the detainees to public display and "ritual humiliation." Persistent actions such as these have resulted in numerous lawsuits; while Arpaio spends time and energy on publicity and his reality television show, "Smile… You're Under Arrest! ", Maricopa County has paid millions of dollars in settlements involving dead or injured inmates. "It is time for the federal government to step in and uphold the rule of law in this country, even in Maricopa County." "Law enforcement is not a game or a reality show, it is a public trust," said Scott. "There is no excuse for callous indifference to the rights of the residents of Arizona, whether in their neighborhoods or as pretrial detainees." The full official text of the letter to Napolitano and Holder is here. It is high time that somebody on the national scene notice, and the Federal government take action on, the egregious and violative conduct of Joe Arpaio. 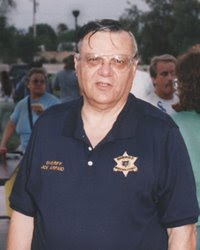 Joe Arpaio is a two bit carnival barker and huckster, not a dedicated law enforcement official. The opportunistic man came into office running against a fellow Republican and incumbent Maricopa County Sheriff, Tom Agnos, by bad mouthing Agnos and arguing that the entire Maricopa County Sheriff's Department needed to be cleaned up. In fact, Arpaio's winning campaign was predicated upon his willingness to mock the very department he was running to lead and promise to expose the dirty laundry of Agnos and the Sheriff's Department for its involvement in the infamous Buddhist Temple Murder case (link is a fascinating three part story), a seminal case in textbooks on coerced confessions (from the fact that four separate coerced false confessions were obtained to a single crime). Arpaio promised to restore honor to the department, and also swore he would serve only one term in office. Five terms and seventeen years later, Arpaio has failed miserably on both promises. ...repeated course of conduct, which values publicity opportunities over the civil rights of residents of Arizona, is too disturbing to leave enforcement of the civil rights laws to private litigants. There are several tools at the federal government's disposal to address these allegations, and we urge their prompt consideration and application. Most recently, on February 4, after making sure to alert the media, Arpaio reportedly paraded approximately 200 suspected illegal immigrants in shackles to a segregated area of his "tent city" county facility, where they will supposedly remain until they are adjudicated and have served any sentences they face for local violations. The New York Times described this conduct as "ritual humiliation." The men who Arpaio is displaying like trophies are reportedly in pretrial detention, not having been convicted of any crime. With spirited protesters and helmeted deputies on horseback, the night of April 3 in Guadalupe was like some historical reenactment, albeit in miniature, of a late-'60s anti-war melee. You know, the kind chronicled by Norman Mailer in one of his seminal "non-fiction novels" of the era, such as Miami and the Siege of Chicago or The Armies of the Night. Following up on his criticism of Arpaio during a César Chávez luncheon in March, Phoenix Mayor Phil Gordon addressed a letter to the U.S. Justice Department asking for an investigation of the sheriff. The letter was dated April 4, the second day of the MCSO's Guadalupe sweep, and the MCSO's actions in Guadalupe figured prominently in the missive. Egregious to be sure, but hardly the only such acts by Arpaio, and certainly not the worst. Let's go through some of the others alluded to in the letter, although not described in detail. [Norberg] was in Arpaio's jail just 15 hours before he was handcuffed by guards, kicked, stomped on, and then strapped into a restraint chair. There, guards held a towel over his head, literally suffocating him. 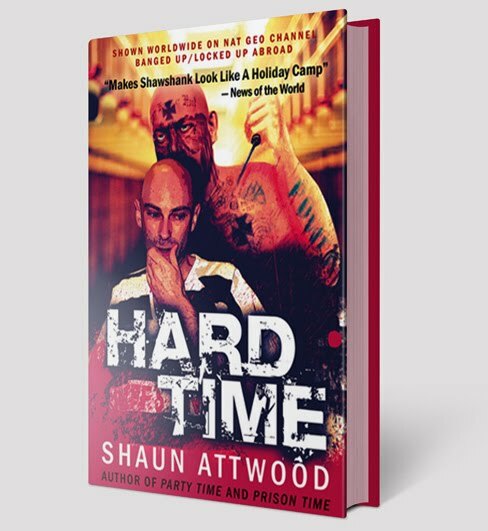 Medical records later revealed that he had been shot with a stun gun at least 14 times and beaten so badly that his larynx cracked. That one cost the taxpayers of Maricopa County $8.25 million, but did not deter the Most Abusive Sheriff in America; instead, he seemed to get off on the notoriety. There were more unnatural deaths in Arpaio's jails, from a variety of causes, after Norberg. The belligerent Arpaio finally stopped the deplorable use of the restraint chair in 2006 after fighting demands by citizens and federal overseers on the issue for nearly a decade. Agster's death should have been prevented. Two years before he was killed, the county had paid $8.25 million to settle the Norberg suffocation suit. There was at least one more death at the restraints of Arpaio's cherished chair, Clint Yarborough in 2005. It should be noted that neither Norberg, Agster, nor Yarbrough were ever tried or convicted for the charges they were arrested on; none of them lived to see their first court date and died innocent men under the law. Those are just the deaths associated with the medieval restraint chair, there have been numerous deaths from improper or complete lack of medical care, neglect and other perils. Carey says she knows exactly where she got it -- the Maricopa County Jail. She wasn't there as an inmate, but as an attorney visiting her client. Vermin, filth, medical care suggestive of POW camps, chronic mismanagement, the wanton destruction of records, and a steady parade of corpses in Maricopa County jails have cost taxpayers an astonishing -- and until now, undisclosed -- 41.4 million dollars. The sheriff raided municipal buildings in Mesa in what appeared to be nothing more than a blatant political maneuver against Arpaio's perceived enemy, Mesa Police Chief George Gascón. As a public safety effort, the pre-dawn October 16 incursion into Mesa City Hall and its library was laughable — it netted just three undocumented workers. A couple of former county Superior Court judges criticized Arpaio's action in the East Valley Tribune, with former chief judge of the court Colin Campbell calling the raid "bizarre" and "extraordinary." Last, but far from least, Sheriff Joe has waged a jihad against the local investigative weekly newspaper in Phoenix/Maricopa County, the Phoenix New Times. Arpaio long felt the New Times coverage of him was too strident; not content to address his concerns in the media and public sphere, Arpaio arrested the publishers, Michael Lacey and James Larkin, on trumped up asinine charges (that were almost immediately dismissed without ever seeing the light of a courtroom). However, if you cherish the First Amendment and the freedom of the press, Larkin and Lacey's arrests by Arpaio were not even the worst part. The article the passage immediately above was quoted from, "Breathtaking Abuse of the Constitution", was written personally by the two publishers, Mike Lacey and Jim Larkin, and is as chilling as was Arpaio's attempt to silence them. Again, it is a feature length article, but a serious must read. This post could easily be three or four times the already tedious length and still not have room to touch on the bill of craven particulars against the Most Abusive Sheriff in America, Joe Arpaio. But it is a start, and renders an idea as to why Chairman Conyers, Representative Nadler and the others on the House Judiciary Committee have requested the civil and criminal powers of the United States Government be brought to bear on Joe Arpaio. He isn't the toughest, he's the most abusive. It is imperative that Attorney General Holder and DHS Secretary Napolitano heed the call and address the long overdue matter. Secretary Napolitano, of all people, ought to understand the menace to society as a whole, and the citizenry of Maricopa County in particular, that Arpaio poses. It is time for it to be stopped. 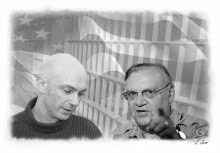 Wouldn't it be nice if Sherrif Joe got to spend a year or two in tent city awaiting trial for his crimes. It'll never happen, even if it's for murder he will get bail, but its a nice thought. Of course, assuming he makes bail, he could flee to Mexico and visit all his friends that he "repatriated". Well, that took 15 years too long, but only a few days after Obama entered office. I was optimistic that this would happen sooner or later, but this is quite a bit sooner than I expected. Fifteen years includes both Democratic and Republican presidents. Neither one did anything. Either Obama's administration found the time to look into this in the middle of multiple crises, or his leadership had a powerful indirect effect. Either way, it's impressive.